Stringent Selection Process: MyITstudy has Accredited trainers who are handpicked from the best in the industry. Each of our trainers has successfully undergone a rigorous and stringent selection process and has earned the Approved Trainer accreditation. Extensive Industry Experience: Our trainers bring years of experience to the classroom, along with immense knowledge, expertise and enthusiasm ensuring that students are enriched by the subject matter. "Train the Trainer" Program: Through a comprehensive and extensive "Train the Trainer" program, all our instructors are experts in MyITstudy classroom training techniques and adult-learning processes aimed at delivering an exceptional training experience. Our training programs differ from our competitors, because we place emphasis on soft skills and the human factor in IT. Proven Training Methodology: Our trainers ensure that students are provided quality study materials and are comprehensively exposed to methodologies and techniques by providing clear examples and case studies that delve into applications of course concepts in real-life situations. We would like you to go through the profiles of our faculty - and you will agree with us that no other training provider has the quality of faculty as we do. In her 15 years of project management experience, Alexis has held several project positions including project manager, sub-project manager, subject matter expert, continuous improvement lead and assistant project manager. Working in different industries including retail, manufacturing and utilities has given her a broad range of experience in project management. Combined with an Engineering degree from the University of Michigan, Alexis has leveraged her PMP certification to successfully conduct traditional classroom and computer based training to audiences of executives and managers. Making project management a priority in her career, she has acquired specialized experience in building and working with virtual teams, statistical process control techniques and measurement system analysis. 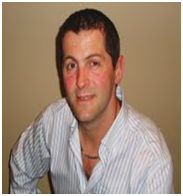 Andreas is a PMI certified Project Management Professional (PMP) and ITIL V3 Expert. Presently he works as a consultant and quality manager for large enterprises in the field of IT Management. He looks back at many years of working experience in IT operations and IT project management. He has worked at medium enterprises as well as large international public companies and got a vivid impression of the benefits and importance of a concise business strategy based on established standards and methodologies. For him sound process understanding is one of the keys to success in any business. Andreas holds a master degree in theoretical linguistics from University Freiburg, Germany, and has three years teaching experience at University Furtwangen. Andy Barkl, MCT/MCSA/MCITP, Cisco, and CompTIA certified, has been studying technology for many years. During the last 14 years, he has spent much of his time parting the knowledge and experience he has gained through IT exams, over 300, to help others be prepared and successful. He teaches classes worldwide and at home in Phoenix, AZ where he has lived most of his life. "Audrey is excellent. She has a great ability of presenting difficult information." - Rebecca Mittica, MW Industries Inc.
Audrey Phillips is a certified Project Management Professional with over 11 years of rich experience in project management. Audrey has managed IT implementation projects in several U.S. Metropolitan school districts and is currently employed as a manufacturing project manager and technology engineer responsible for the development of end-of-line test and validation software for computer interface device and electronic production facilities located in Zhuhai, China and Juarez, Mexico. Audrey holds a B.S. degree in Telecommunications Management from DeVry University and a Master's in Project Management from Keller Graduate School of Management. For the last 20 years, Barbara has applied her software and project management skills in product development, quality assurance, and sales. She holds a Bachelor's degree in Computer Science from Stony Brook University and a Master's in Computer Science from NYU-Poly. She is a certified Math 7-12 teacher, and has spent a year as a visiting professor on loan to Southern University. Projects at Texaco, Bell Laboratories, and Tektronix ranged from designing the STI graphics system to leading the QA program for the TDS oscilloscope project. More recently, she has helped a handful of startups to introduce new products and expand their markets. Barbara enjoys collaborating and is an active member of the Portland Chapter of PMI and the Lake Oswego ARES emergency communications team. Other training pursuits include the Entrepreneurial Edge, Dale Carnegie, and Miller Heiman. Beth has acted as the Project Manager for many Microsoft projects, including Hands-On Labs at technical conferences world-wide. She has spoken at numerous events for Microsoft and other vendors, written courseware for a variety of clients, developed hands-on labs and authored technical documentation. "The pace ,the interaction, and the instructor insured that Bharat Kapoor understood the concepts." - Delena Mello, Washington D.C.
Bharat has 7 years of total IT experience with a lot of exposure to IT Infrastructure Management. He has successfully managed multiple projects involving Implementation and Production Support. He has extensive subject matter expertise in Service Transition, IT Infrastructure Planning, IT Services Management (ITSM), Methods, Processes, Strategic Technology, Developing Cost Effective Solutions to meet customer / business requirements and IT Project Management. He has expertise in financial operations, and has worked with federal government organizations to ensure efficient customer service. He is an ITIL Expert and well versed with the implementation of PRINCE2 and Six Sigma. Bobbie has been a Microsoft Certified Trainer since 1997. She teaches courses in Management Information Systems, Cybersecurity, Enterprise Resource Planning and SAP. She is an expert with languages such as SQL, HTML and Java. She holds four premier Microsoft Certifications. She holds a doctorate degree from Seattle University with a specialization in Software Engineering. She also has an MBA. Bobbie is an expert in business intelligence and data analytics. Carl is an Information Technology (IT) professional whose hands-on experience as a human performance improvement consultant and instructional designer complements and enriches his technical expertise in software, hardware, networking, and programming. Carl specializes in mapping business processes to the technical tools that support them. He works with individuals, teams and companies to design efficient procedures that provide high quality output and allow employees to focus on their key deliverables. Over more than 25 years in both the corporate and academic worlds, Carl has literally done everything from teaching email classes to successfully managing multi-million dollar IT projects. Charles has over 14 years of experience in Information Technology (IT) and Business Operations Management. He has spearheaded a number of IT initiatives across leading organizations, ranging from streamlining multiple processes in IT projects in a Fortune 500 company, to upgrading IT systems which were deemed impossible to upgrade by expert consultants. Some of the companies he has worked for include Gannett-USA Today, Ritz Camera, and most recently Marriott International. In his current job where he serves as the Director of Information Systems, he is responsible for coordinating all Information Technology initiatives and managing a portfolio of projects directed at achieving the organization's strategic Information Technology objectives. His interventions have helped organizations realize huge cost savings and drastic increases in efficiency. Charles holds a B. Sc. Information Systems from University of Phoenix and Master's in Information and Telecommunications Systems from the Johns Hopkins University. He holds professional industry certifications in four disciplines including the Project Management Professional (PMP) certification from the Project Management Institute (PMI). He is also a CSME certified ITIL trainer. Always looking for that "light bulb" moment. In his more than 20 years of experience, Chuck has worked in a multitude of roles, including help desk analyst, programmer, database administrator, network engineer and trainer. He has worked in a variety of industries including banking, healthcare, software sales and training. Chuck is experienced with all levels of a project, able to help in any situation. A solution provider, who works well with customers, he is able to help customers learn and understand software and hardware processes, problems and resolutions. Chuck has a bachelor's degree from Ripon College in Ripon, WI, and a master's degree in MIS from the University of Wisconsin, Milwaukee. In the early 2000's, Chuck attended PC ProSchools, a Microsoft IT Academy, and earned his Microsoft certifications. Corbett is a graduate of Full Sail University in Winter Park, FL, about a 30-minute drive from his home in Orlando. He majored in record and video production, but ultimately turned his focus to Information Technology, the field in which he has specialized since 1998. He began teaching the Microsoft Official Curriculum in 2008 and became a Microsoft Certified Trainer in 2010. Corbett's main focus in the classroom in on .NET, SharePoint and SQL Server, but he is also credentialed to teach Exchange, Windows Server and Windows 8. Corbett has a wife, Catrin, and six housecats. For over 20 years, Corey has been directing the delivery of IT services in customer facing roles. He has been a successful manager, coach, project manager, vendor manager and process change agent in small business and Fortune 500 environments. Corey has a track record of improving profitability and customer satisfaction with a focus on analytics and strong team work in challenging environments. He has been recognized for his contributions in the delivery of large project implementations on time and within budget by managing performance and closely tracking results. Corey has held executive management positions at ICL PLC, Fujitsu and JDL Technologies. Corey also has over 2000 hours of certification training experience with highly satisfied students as evident by the comments above. Craig is a PRINCE2 and ITIL trainer based at the Edusys London office in Canary Wharf. Craig worked as a key part of the senior management team at Croft Community Services Ltd (a domiciliary care company. Craig was responsible for Finance, IT and HR for the whole organisation. In a varied role he also managed multiple projects (Operational and IT), designed and delivered various training courses, and helped renew IIP status.Craig has a degree in Computer Science from University of Leeds. Daniel has several years of project management experience directing IT infrastructure, e-commerce and online marketing projects. With a background in software development and marketing, he has been a perfect fit for the liaison role between IT and the business units. With 15 years of experience in IT, Daniel has led many projects with firms like ReStocklt.com, Montgomery Consulting Inc., Nestle USA etc. He has successfully delivered a multitude of projects managing IT, day-to-day operational workloads of IT staff and quality control. Daniel holds a Bachelor's degree in Business Administration from the University of Southern California and an MBA from the University of Miami. In addition to his PMP, he holds the PMI-RMP (Risk Management Professional), PMI-SP (Scheduling Professional), CAPM (Certified Associate in Project Management) and 4 ITIL certifications in IT Service Management. A highly experienced trainer in the field of Project Management, Daniel's acumen and expertise in teaching is reflected by the quotes from his students above. Dave lives in Tallassee, Alabama. He is an East USA Microsoft Regional Lead MCT. He's been a Microsoft Most Valuable Professional (MVP) for three years and teaches certification classes at Auburn University. He writes MOC for Microsoft Learning. He's been working with computers since 1976, starting in the mainframe world and moving early into the networking arena. He spent 22 years in the U.S. Air Force as an electronic communications and computer systems specialist, retiring in 1998. He is president of the Montgomery IT Professional Group. Doreen has enjoyed providing technical training and support for over 15 years. In addition, she has worked in a variety of industries (financial, educational, computer manufacturing), in a number of roles as Field Engineer, System Administrator, Support Analyst. Ed has over 17 years in the telecoms industry managing projects from IT/telephony systems integration, outsourcing and environmental initiatives to brand/marketing campaigns, logistics and many others. A qualified Prince II practitioner, Ed has a strong appreciation of how the use of solid project management methodology supports operationally in addition to being a huge advantage in navigating corporate politics. Having previously worked with telecoms giants such as Telefonica O2, Vodafone and ZTE, Ed has embraced his entrepreneurial spirit and is working on several start-up projects in addition to working as an environmental consultant to the telecoms sector. Lynne has a proven track record of success in leadership positions as well as in a team environment. She has extensive experience coming from management and project related positions in a variety of industries which include: public utilities, technology, landscaping, residential construction, magazine publishing, and finally, independent consulting. She is highly skilled in employee management, career planning, and development. Her strength and proficiency were demonstrated when playing a key role on major projects including assembling and leading effective teams. She has enhanced her knowledge by doing professional development courses such as Chamber of Commerce Leadership Program, Facilitative Leadership, Psychology of Supervision, Intervention Skills, Team Problem Solving, Technical Writing, and Distribution Field Engineering Training Program. She did her Bachelor's in Business Administration from the American InterContinental University and is a certified Project Management Professional (PMP). Lynne also has over 3000 hours of certification training experience with highly satisfied students as evident by the comments above. Eric Carter is a certified Project Management Professional (PMP) with over 15 years of experience as a business owner, project manager and consultant in various fields including law, auto industry and banking. His varied experience has given him a unique understanding of both project and program management. Eric holds a Bachelor's degree in business economics and a Juris Doctorate. With a background of being a consultant, change manager, information analyst, test manager, head of IT department, system designer, project leader, etc and more than 20 years of experience as a teacher / trainer in IT, Erik efficiently transfers knowledge with excellent good communication. Erik always keeps himself busy with the developments and environment of IT. Fraser has more than 20 years experience in project, product and client services management across a range of industry sectors, including commodities trading, oil & gas, shipbuilding, steel, consumer packaged goods and transport. Alongside his teaching activities, he is a management consultant and business delivery specialist with an extensive background in building and leading teams responsible for building and deploying mission-critical IT systems in complex business environments. A coach and mentor, with a belief in nurturing and managing talent through targeted training, coaching, challenge and delegation, Fraser holds a bachelor's degree in Aeronautical Engineering and a diploma in Business Studies. Harco is a certified Project Management Professional (PMP). He has an extensive Project Management experience, obtained in many international, cross-functional projects; either as project team member, Project Manager, or Program Manager. In his current position, Harco is often consulted by experienced Project Managers, and provides training and guidance to starting Project Managers. Having spent 20+ years in various positions in large IT companies, he has built up an impressive working knowledge in multiple disciplines, including Spare Parts Planning, Cost Management, and Vendor Management, specializing in Spare Part Logistics and Supply Chain Management. Harco is also a certified APICS (CPIM) professional. Started in the ICT world as an Computer Operator 35 years ago, the last 15 years I worked for Electronic Data Systems (EDS) and HP as a Delivery -and Project Manager on larger local (Netherlands) and international accounts which mainly involved the transformation of ICT services through Outsourcing deals like ABN AMRO Bank, Dow Chemical and Shell. At the age of 52 I retired from HP. Jason is a certified Project Manager (IPMA) with over 20 years of experience in Information Technology, Financial and Energy branches. Although Jason's projects are mainly multi-million to billion dollar projects for large international corporations, he has also mentored several newly founded companies. In addition to managing projects, Jason enjoys passing his knowledge and experience on to others. In this respect, he has held courses and given lectures in countries around the world. He has a unique ability to convey even complex topics so that they are understood by his audience. Jason also holds many industry standard certifications such as ITIL, Microsoft, and Citrix. Jason is a freelance Microsoft Certified Trainer and PowerShell enthusiast, delivering classes in Windows PowerShell, Server and Client across the United States. He enjoys the many weeks a year that he spends around the country teaching his classes, pulling from his background in the public, private, and military sectors. He has been working in Network administration and automation for more than 15 years and is very energetic in introducing time and cost savings concepts to his classes. Jason also serves his country as a 1st Class Information Systems Technician in the United States Navy Reserve. Jay is a technical trainer with real world experience.His responsible for various projects that include security management, implementing, training and designing solutions to meet customer's requirements including designs, operating systems migrations, network infrastructures, enterprise security solutions and mobility issues. He is also the author of several books including Security Challenges and Solutions Workshop Series for Microsoft Partners, Architecting Microsoft Server Virtualization Solutions with Hyper-VTMand System Center Virtual Machine Manager, Windows Mobile Security Training. Joe's experience includes many facets of the IT profession including systems and network administration, back office server administration, design and development in several computer languages, database architecture and design and ETL design and development. He has experience with the complete SDLC "Life Cycle" including design, development, testing and deployment. He has held management positions from Team Lead to Chief Information Officer. Joe is a dedicated team player and truly enjoys sharing his knowledge, experience and expertise with others. "Really appreciated that John shared his real world experience and sharing the diagrams he created to make the material more understandable. Plus John worked to draw out the class's experiences that applied to the material." "I was very pleased with John Cone's style of instruction. Not too overbearing or dry, but very informative and easy to follow. His personable presentation also kept me interested, as he was teaching from actual knowledge and not just reading from a book." "Really great. Good sense of humor and keeps your interest really well." John is a Microsoft Certified Trainer and IT Security Instructor with more than 24 years teaching/training experience and 38 technical certifications. He is also a certified secondary school teacher. He was a staff instructor for Southern Methodist University, as well as for Heald College Fresno. John has helped many companies align their IT strategy with business strategy in order to support their business objectives. Some of John's contracting/consulting/training clients include C.A. Edwards, CAPC, NHMCC, B&V Technologies, Junior Achievement, Time Warner Cable, Shell, Schlumberger, Halliburton, Boeing, McDonald Douglas, Ikon, 3M, Compaq (HP), BMC Software, SBC, AT&T, EDS, Baker-Hughes, Motorola, Dell, EPCC, City of Orange CA, The US Air Force, Marines, Navy and many others. Currently, He is the Founder/CEO of MultiSoft Training, Inc.
For more than fourteen years, John Jordan has provided information technology solutions to private and public sector clients. His expertise includes: project management, network analysis and implementation, business planning and support; design, development, and deployment of web, multimedia, and e-commerce; database development and administration, data security, and training and support for all software and technical devices. He has performed management services for telecommunications, heath care, manufacturing, multimedia, insurance, non-profit, distribution, retailing, high-tech, government, and professional services, located throughout the United States and Canada. John Jordan is a charismatic individual with vast technical knowledge and skill. He was an Adjunct Professor for the Department of Computer Information Systems for Strayer University and ITT Technical Institute. He frequently trains and supports technical and non-technical personnel throughout the United States and Canada. Jonathan has over 20 years' experience in Loan Operations and has held a number of senior roles within Loans, Credits Administration and Trade Finance. Jonathan is an SME in Operations and Loans and is Prince2 Qualified. He also has excellent Project experience, having worked on a number of assignments including Credit, Risk, LGD and Basel II. Experienced in System Integration, Data Migration, System specification and development and related IT requirements including Product Mapping,Test Case preparation and UAT. Jose holds a bachelor's degree in science and a master's in computer science. He has worked for more than twenty years as an educator, software programmer and network engineer. He became a Microsoft Certified Trainer in 1998. He has been active ever since doing consulting, programming and training. He has taught a wide range of courses aligned to his certifications which include SQL Server 2008, SharePoint 2007 and 2010, Visual Studio 2008 and 2010. Currently, he is updating all of his certifications to the latest versions. "Karen is great instructor. She presented the material in a clear and concise manner which made it easy to learn.She also provided many examples which aided us in grasping complex knowledge areas." -Danny, Ottawa. Having over 15 years of experience working on web, software, and systems implementation projects has provided Karen with a broad spectrum of knowledge and skills. Her previous roles encompass managerial positions in project management, procurement, production, data collection, client services, and editing in publishing, manufacturing, and printing industries. Karen's main focus has been on developing, implementing, and improving project and operational processes and procedures. She has an Honors in Psychology and holds a Master's certificate in Project Management from the Schulich Executive Education Centre. She is also PMP and ITIL certified with over 1500 hours of professional certification training experience. After starting his career with twelve years of service in the Royal Air Force, Lachlan has developed over a decade of experience leading large corporate IT projects within the automotive industry, for a global tier one supplier. Lachlan, a Project Management Professional (PMP), has served as a Technical Services manager, and his deep knowledge within the IT Technical Services field, coupled with his project management skills has helped him to carry out many successful IT projects, leading both virtual teams, and cross-functional co-located teams with Agile based projects. Working for a large leading global manufacturing company has also enabled Lachlan to develop a strong practical knowledge of Six Sigma, Kaizen, and other Lean methodologies. Loren is a certified Project Management Professional (PMP) from New York City specializing in communication management and business skills development. He has a degree in Business Administration and additional professional experience in both the not-for-profit and corporate sectors in the areas of marketing, operations, and finance. Seeing himself as a bit of an evangelist, Loren enjoys bringing a project management focus to previously non-project management oriented organizations. Since moving to Germany in 2007, Loren has provided project management expertise, communication support, and business skills training to professionals and organizations in Southern Germany. Luis loves PM because it allows him to strive towards more efficient world. As Computer Engineer (1998) he soon led teams and hopped into the PM arena. He has been directing projects (counting 20+ in 10+ industries) since 1999 and attained PMP in 2008. Simultaneously, convinced about the importance of a global perspective and continuous learning, he obtained two MSc. (C.Eng. 2002, Ind. Eng., 2003), ITIL (2009), MBA (2011). Nowadays he combines two of his passions, PM and Research, applying PM techniques to R&D and developing new techniques for improving Project Planning in the Offshore-Wind Industry. As you may find out his third passion is the class interaction. Maarten Koens has 25 years of experience in IT project management, consulting, coaching and training in the domain of e-Procurement, logistics and supply chain management with a focus on B2B sectors like health care, medical, pharmaceutical, automotive and other B2B sectors. He is based out of Brussels, Belgium. He was certified as Project Management Professional (PMP) in 2010 by the Project Management Institute (PMI) and as Prince2 Practitioner by PeopleCert. He is an experienced speaker and trainer in seminars and workshops as well as in Project management. He has a degree in information technology engineering. Magaline Harvey is a hands-on, results-driven business and technology leader with 10 years of experience and has a successful record of working with companies ranging from start-up operations to Fortune 500 global entities. Her broad-based expertise includes project management consulting services to private and public businesses. She has been recognized as an empowering motivator and mentor with a unique blend of technical depth, interpersonal strengths, and business savvy; adept at building and leading diverse cross-functional teams and matrix management of complex projects. Marty has extensive experience with some of the largest corporations in both Canada and the US including most of the big five Canadian banks, General Electric, BestBuy, Chapters Indigo and many government ministries. He has two university degrees and multiple IT and financial certifications including the PMP, VMWare (VCP5), MCDBA, MCSD, MCSE and Oracle DBA designations. Specializing in the financial, healthcare and e-retail areas, he has worked in multiple capacities as both a development and operations DBA, an IT manager and an IT project manager. Mfon Ekpo is a Prince2 certified Maritime lawyer and professional negotiator. As a training and development consultant with over 7 years experience managing diverse projects in both public and private sectors, she has an outstanding record for improving organizational systems by effectively managing and developing human resources while providing strategic solutions to complex business needs. She is currently the Director of Strategy and Head of H.R at Red Media and a founding partner and certified leadership coach with the John Maxwell Team. An international bestselling co-author of two business and development books recognized by the National Academy of Bestselling Authors, Mfon holds multiple degrees in Business law, Journalism, Neuro-linguistic programming and a Masters degree in Maritime law from the University of Southampton. Mike is an Information Technology Professional with over 25 years of experience, mostly in the UK. With his Project Manager's hat on, he has managed significant IT Infrastructure implementations in both commercial and educational environments. Over the years, Mike's roles in Operating System Support, Programming, Systems Analysis, Networking, IT infrastructure Management, Project Management and as a Company Director have given him a balanced and insightful view of the industry which he feels is of great benefit to his students. Mike currently runs his own company providing IT Services and Consultancy. He holds a Bachelor of Science degree from Loughbourough University of Technology in the UK. Nick has coupled effective training experience with hands-on technical skills since 1985. He started his career as a technical trainer for Radars and Military Technology, continued as a teacher of Math and Physics in public school, and now he is an IT Trainer for Microsoft and CompTIA exams. Nick is approachable, humorous, empathetic, motivational and able to build genuine rapport with individuals from all cultural backgrounds. He handles training with great spontaneity and responsiveness to the personality, level, and style of his students and is in authentic communication with the students at all times. Nick checks student progress regularly and gives immediate, honest feedback. Nick uses a variety of techniques that focus on the functions students need competence in and a variety of resources, including materials and data supplied by the students, to work in a more intensive way. Nick teaches at the students' pace and measures the results of his training by the level of knowledge they attain! Nico worked for 15 years in ICT Management for several large companies and institutions in the Netherlands as process manager, change manager, consultant, sales manager and project manager. Although he has a keen eye for process improvement, he regards people (and intrinsic motivation) as main factor in organizational change and success. He likes to summarize this vision with one simple line: I don't work with computers, I work with people who work with computers. The last years he has focused on different forms of active learning such as serious games, roleplay, interactive workshops, blended learning and organizational storytelling. Nicola has 15 years of work experience, of which 3 years are in Training and Development related field. She has held managerial positions (IT Consultant, Operation Manager & Program Expert) in multinational as well as local companies before establishing her own online consultancy company (SureSolution).serves as an associate consultant and a freelance corporate trainer to several established training provider throughout Jamaica, Suriname, United State of America, Canada and India. She has facilitated over 250 participants from various multinational and local corporations including EMC, RBBT, Jamalco, LIME, First Global, Pan Caribbean Bank, Jamaica Sugar Research, US Army, Telesure Suriname, Government Ministries in Jamaica and Suriname. Obi is a graduate of IT, with a Master's degree in IR. In addition, he holds over a dozen IT Certifications. Obi has a record of excellence in a comprehensive range of disciplines. With over 15 years of progressive experience in project /program management, as well as, information, knowledge and network management, he has acquired a thorough understanding of industry "best practices" for managing projects, information technology, instructional systems designing, curriculum development and delivery methods. "Obi specializes in IT program management, cloud technologies, infrastructure & datacenter virtualization, as well as operating systems." With over 12 years experience across IT infrastructure operations and projects, Olu brings a rich background of practical project and ITIL operational experience to the classroom. His particular experience allows him to help students make connections between theory and practice. He has worked across a range of industries including financial services, managed/outsource service provider, VAR/consultancy, telecoms, manufacturing. In addition to several technical certification, he is Prince II Practitioner and ITIL certified, has an engineering degree and is currently completing an MBA. Parvinder holds B-Tech in Computer Science and Engineering and MBA in Information Technology and International Business. He also holds various Microsoft Certifications and is ITIL, SCRUM Master Certified and Six Sigma Green Belt. He has years of cross-platform experience and comprehensive skills in planning, deploying, supporting, maintaining, and optimizing IT infrastructure for major Fortune 500 companies including Microsoft, CSC and Fiserv. Parvinder has successfully managed several research and IT projects in his career. Parvinder has proven abilities in training and development with certifications earned such as Computer Sciences Corporation Certified Internal Trainer and Microsoft Certified Trainer. Plamen is a Microsoft Certified Trainer with more than 12 years of experience in the IT field. He has worked as a consultant, technical coordinator and Senior Support Engineer for several Hewlett Packard Customers in Europe, Middle East and Africa. He has worked in a Microsoft Gold Certified Partner company as a Microsoft Consultant and Trainer. He has a master's degree in Electrical Engineering with a specialization in Biomedical Electronics and a second specialization in Business I.T. Palmen has 7 years of experience as a Senior System Administrator, 3 years as an IT Architect/Consultant and Trainer, and 12 years in the IT field. Praveen has 7 years of experience working on IT and financial projects with Chase Bank, General Motors, Dell Global Financial Services, HSBC, AOL, Toronto Star (Canada) and ITES enabled industries. He is a certified PRINCE2 Practitioner and an ITIL Expert, and has trained a number of IT and project professionals for ITIL framework in US organizations, such as Lockheed Martin and in Australian organizations, such as Datacom (Perth), IBM, Victorian Police Department (Melbourne), Grant Thornton and Coles (Sydney). With several years of teaching background, Praveen brings immense knowledge, expertise and enthusiasm to the classroom and ensures that all his students have a great learning experience. Praveen holds an MBA and a Masters in American Literature. Richard Mather is an accomplished manufacturing engineer with extensive experience in the high tech manufacturing environment and managing projects. In addition, he has been involved with regulatory labeling and RoHS/WEEE compliance (Restriction of Hazardous Waste and Waste Electrical and Electronic Equipment directives). An Electronics Engineering graduate and Certified Project Management Professional (PMP), Rick has expertise in all facets of the project life cycle. He has worked on international assignments from the establishment of a configuration center in Dundalk, Ireland to licensing a manufacturing facility in Oslo, Norway with Tandberg Data. He has spent the last several years launching new products for companies such as IBM, Sun Microsystems, HP and Dell into the manufacturing environment in Penang, Malaysia. This gives him a great perspective on virtual teams and working across cultures. Robert has been working in Information Technology for more than 20 years, beginning in the early 1990's with the U.S. Air Force, later working as a bench tech in a locally owned computer store and, finally, in the corporate world as an Infrastructure Specialist. Robert has worked in Desk-side support as well as in a Data Center supporting servers and Network Infrastructure. Robert has experience with almost all of the major pc manufacturers including HP, IBM/Lenovo and Dell. He has also successfully led multiple Operating System migrations, starting with Windows for Workgroups all the way to Windows 7. Robert starting his IT career in 1981 and immediately embraced two management philosophies: always work issues from the client's perspective, and use project management as you work to meet their needs. He has worked on a diverse range of projects in software customization, data/hardware migrations, system designs and process improvement, and he has helped several organizations define programming, project, and SDLC standards. His experience includes manufacturing, distribution, and entertainment industries. He is known for his patient, willing to put in extra time for his students, and ability to communicate complex topics. Robert's experience includes Predictive Analytics Research Consultant & .NET/SQL Platform Principal Consultant/Architect Microsoft Certified Master SQL Server (MCM), PhD ABD Autonomous Machine Learning, and being a Microsoft Certified Trainer (MCT) specializing in SQL, Business Intelligence, TFS, BizTalk, SharePoint, and .NET. Robert has nearly 30 years in Software development, project management, software architecture, relational databases, and simulation/correlative modeling for near-real-time Business Intelligence (BI). He is in process of finishing a doctorate degree in the area of autonomous problem solving for machine learning frameworks. He recently left Microsoft Corporation after nearly 13 years and now brings his real-world experience to the classroom. Since leaving Microsoft, he has delivered Microsoft official curriculum for SQL Server, SharePoint, and .NET with excellent results. Robert maintains a blog at http://bobleith.wordpress.com and a public LinkedIn profile at http://www.linkedin.com/in/bobleith. Ron has a bachelor's degree in Electrical Engineering, and his masters programs include Education, Administration, Computer Science, Information Technology and Business Intelligence. He enjoys teaching, and has taught college-level Computer Science, Network Hardware, Programming, Math, Databases, and Business Intelligence for more than 20 years! Ron's professional experiences include being a SQL and Business Intelligence Developer, Database Analyst, Programmer Analyst, Design Engineer, Systems Engineer, Network Administrator, Consultant and Business Proprietor. Ron greatly enjoys helping professionals achieve their dreams and goals. Ruth has over 15 years of professional experience, specializing in IT solutions consulting, supply chain management and project management. She has expertise in delivering IT software and system implementations, consulting and project management methodology implementation. She is currently a managing partner for a software company. Being a good practitioner and having a passion for IT services and project management, she has established and enforced PM standards for her project managers in her software consulting organization, and the organizations she worked for previously (including General Motors and Adexa). Ruth has completed her Bachelor's degree in Mechanical Engineering and has a Master's degree from Stanford University with concentrated studies in Organizational Behaviour Management and Team Based Design. She is a CSME certified ITIL trainer and has a very impressive list of satisfied students as evident from the comments above. Sabine started out working on projects in 1988 and has been involved in project management ever since. She managed international teams on large scale projects in banking, consulting, and IT. Her work took her to various countries in Europe, Africa, the Americas, and Australia. In addition, she volunteered and assisted on smaller non-profit projects in Mexico, Costa Rica, and Senegal. Sabine acquired her CAPM® and PMP® certifications in 2009 and since then has delivered classroom training to help aspirants of both credentials in their preparation to successfully pass their exam. "Great class. Sandra's teaching methods keep the students engaged and aware. Perhaps the best crash course time ever had" - William, Washington D.C.
Sandra Strech has 15 years of experience in the field of project management. She facilitated highly visible Business Process Reengineering projects using excellent facilitation, leadership and presentation skills. She has developed federal and local government programs in health, human services and education and won an award for developing HIV Care Act program for the State of Illinois. Sandra wrote a Master's degree program for Southern Illinois University and created the Office of Institutional Research and Reports for Kishwaukee College. In San Diego, she developed a Department of Education program for the San Diego State University Foundation before working with the County of San Diego. Sandra holds a Master's degree in Public Administration with majors in Program Evaluation and Human Resources Management and a Bachelor's degree in Psychology. In addition to her PMP, Sandra is a Certified Community Transit Manager with more than 2500 hours of professional certification training experience. A leader in developing project management focus in non-project management oriented companies, Scott Ferrin has 15 years of experience in project management. Scott has worked, led and delivered project outcomes in financial services, education, and mining. He has expertise in the key phases of project development including initiating and planning. His ability, to think strategically about the impact of a project and the potential stakeholders affected, has led to recognition as a key strategic partner with HR functions. Scott has led project management focused training in previous roles, and has provided strategy training. He holds a Bachelor of Arts degree in Business Administration and an MBA. In addition to his PMP certification, he is a Senior Professional in Human Resources. "Scott kept the training fun and the material in testing. Scott was very supportive and reassuring. He is a great coach." - Randy Bries, Genova Technologies, Inc.
Scott is a certified Project Management Professional (PMP) with over 15 years of experience in the disciplines of classroom training, business analysis and re-engineering, process consultation, and operational management. Scott worked for over 20 years at California State Automobile Association where his projects and training programs encompassed a diverse range of specialized areas such as IT, Mobile technology, Support Services and web-portal implementation. Scott holds a Bachelor of Arts degree from Sacramento State University where he studied theatre directing and production. Scott incorporates his theatre, business, and training background to provide his students with a learning experience that is both educational and entertaining. Scott says, "I enjoy all aspects of teaching and take pride in bringing such a valuable set of project management tools and processes to our business professionals." Shola Ogunseitan has over fifteen years experience in project, programme, service, risk and change management. A graduate accountant, Shola is an ITIL Expert (all modules) and 6Sigma Green Belt. He is an PeopleCert Certified Practitioner in Prince 2, Management of Risk, Management of Programmes and Change Management. He has extensive experience in the publishing, media, events and IT industries. Shola is an PeopleCert Accredited trainer in Prince 2 and and a CSME Accredited Trainer in ITIL Foundation and Intermediate modules. Steve is a commercially astute and self-directed professional who combines project and commercial management with a successful engineering career spanning 27 years. Experienced in managing cross functional, global projects for one of the world's leading telecommunications companies. Specialised in satellite broadcast video, and high bandwidth data product deployment, for real time applications. Steve has managed customer projects and infrastructure deployment in the US, Europe and Asia. Steve is Diploma certified financial planner, and Prince 2 Practitioner, and dedicated to improving business success through nurturing project management awareness. Taysier Hamad is a certified Project Management Professional (PMP) with over 28 years of experience in the field of IT infrastructure services and project management. He managed IT Infrastructure and systems management projects across many different sectors. His background encompasses managerial positions in Quality Management, IT-Consulting and Business Development. He holds an MBA degree from Johannes Gutenberg-University in Mainz/Germany. Torri has been working in the IT field for about 7 years with a focus on the manufacturing environment. She began her career as an Operations Manager working with an IT outsourcing company and later developed tremendous passion for Project Management. Currently, she is working as a Project Manager for Cisco Systems, Inc.. She also attended what was formerly known as NIT, National Institute of Technology (now Everest Institute) where she obtained a certificate in Computer Technology and Electronics. She then attended and obtained her Bachelor's degree from Siena Heights University in Adrian, Michigan. It was during this time that she had developed a strong interest in business management and marketing. This business interest along with her experience in computer technology background was the perfect complement to her career interest. Torri has a strong profile in Project Management with certifications like PMP, CCNA and ITIL Certifications. Based on theory (Diploma in Mathematics and postgraduate studies in Economics plus certified classes in PRINCE2, ITIL and others) I practiced throughout my vita successfully from Systems Engineer via Sales Support Engineer, Product Manager, Account Executive, Sales Manager until currently Consultant for Process-, Service- and Project-Management. I supported companies in the IT, banking, insurance and logistic industries. Besides fun and enthusiasm for my jobs, I enjoy recreation with motor biking, (mountain-hiking, and sports like soccer, tennis, bike, gym and skiing). Uwe Seeske studied Computer Science at the University of Erlangen/Nrnberg in Germany. Since 2003 he is the CEO of Innovationscoach Establishment a management Consultancy for Business Development, Business Process Management and Project Management. He worked in Presales, Sales, Project Management and for more than 10 Years on CxO-Level / Board of Directors in different IT- and Telco-Companies. He has more than 15 Years of Experience in Project Management. He conducted IT- and Telco-Projects with a contract volume up to 50 million Euro Budget. He was Lecture for Project Management, eBusiness and Content Management Systems at the University of Liechtenstein and Chur (Switzerland). He has the following Certificates: PMP PMI Project Management Professional, Scrum Master / Product Owner, ITIL V3 Foundation, NLP Trainer, Master of Business Coaching. Uwe Seeske is married and has two sons and is living in Liechtenstein. He likes Jazz Music, Sports and playing Guitar. Yves is a Project Management Professional since 2006. He has over 16 years of professional experience in different sectors (Research, Metallurgy, Education, IT). As he was working for a small service provider company dealing mainly with electronic data processing, Yves could implement and apply best practices where these were missing. Leader and good team player, he was responsible for small and medium-sized teams and enjoyed working in multi-cultural environments. Yves also holds a PhD in Physics from the University of Orlians, an ITIL foundation and Six Sigma Green Belt certifications.